There have been 4 1 Bedroom units sold in this building in the last 12 months. The last unit in this building sold on 4/4/2019. Click here to get the details of all closings in the last 12 months. AMAZING VIEWS OF THE ATLANTIC OCEANFRONT FROM THE PRIVATE 7TH FLOOR OCEANFRONT BALCONY OF THIS BEAUTIFUL TRUE 1 BED,1 BATH CONDO. VERY WELL MAINTAINED AND TASTEFULLY UPGRADED OFFERING 58Ã¢Â€Â TV WITH SURROUND SOUND SYSTEM AND DESIGNER FURNISHINGS TO INCLUDE LEATHER SLEEPER SOFA, LAZY BOY RECLINER, POLYWOOD BAR HEIGHT BALCONY FURNISHINGS. CONDO COMES COMPLETE WITH ALL FURNISHINGS, DÃƒÂ‰COR, HOUSEWARES, AND APPLIANCES INCLUDING DISHWASHER AND FRONT LOAD WASHER AND DRYER. RESORT FEATURES CONVENIENT ATTACHED PARKING GARAGE, ONSITE DINING TO INCLUDE RESTAURANT AND SEASONAL ICE CREAM AND CONVENIENCE SHOP, GAME ROOM, FITNESS CENTER, INDOOR AND OUTDOOR WATER AMENITIES FEATURING OCEANFRONT POOL/HEATED POOL/HOT TUB/KIDDIE POOLS, PRIVATE BEACHFRONT ACCESS AND GIFT SHOP. 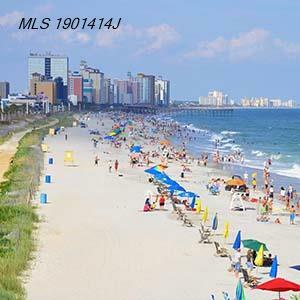 TERRIFIC LOCATION CLOSE TO SHOPPING, DINING, AND ALL THE WONDERFUL MYRTLE BEACH AREA ATTRACTIONS. DON NOT MISS THIS ONE, CALL TODAY FOR MORE DETAILS AND SCHEDULE A PRIVATE VIEWING AS THIS IS AN INCREDIBLE INVESTMENT PROPERTY OR SECOND HOME PROPERTY OPPORTUNITY! Address: S 2007 Ocean Blvd.